Western massage techniques focus primarily on the body to promote relaxation, improve blood circulation and relieve muscle tension. Spa Bliss techniques include a variety of applications provided by trained and certified massage therapists who carefully assess your condition and recommend the most suitable treatment. Pre-natal massage promotes relaxation and can help to relieve strained neck and back muscles particularly during the second and third trimester when the extra strain on your back is most pronounced. Spa Bliss pre-natal massages are given by specially trained therapists who ensure your comfort and safety. Our dedicated team of trained sports massage therapists concentrates on relieving muscle soreness from overuse due to athletic training or competition while increasing range of motion and flexibility. Spa Bliss provides flexible sports massage scheduling prior to, or following, competitive events that soothe and restore muscle tissue and reduce stress. Discovered in a 4th century ancient Chinese medicinal handbook, one of the earliest recorded reports on cupping therapy illustrates the practice of using a cup to draw up the skin as a treatment for headaches, dizziness and abdominal pain. Early practitioners used animal horns placed on specific meridian points of the body to provide relief and healing. Today, Spa Bliss cupping therapy is administered by certified specialist that involves careful application of cups to the affected area of the body that loosen obstructions, draw toxins and balance the flow of ‘qi’ , - our vital life energy. Similar to other ancient Eastern therapies, the practice of Shiatsu massage not only addresses the signs and symptoms of a particular condition, but is used to achieve a complete physical energy evaluation that helps to determine the most suitable treatment technique. Results from holistic assessments not only reveal the source of a particular health problem, but allow Spa Bliss therapists to design a uniquely personalized therapeutic program based on the theory that every organ in the body is subject to an energetic pattern that must be balanced to achieve lasting healing. Recipients of Shiatsu massage remain fully clothed and in close communication with the massage therapist to ensure complete comfort during the treatment. 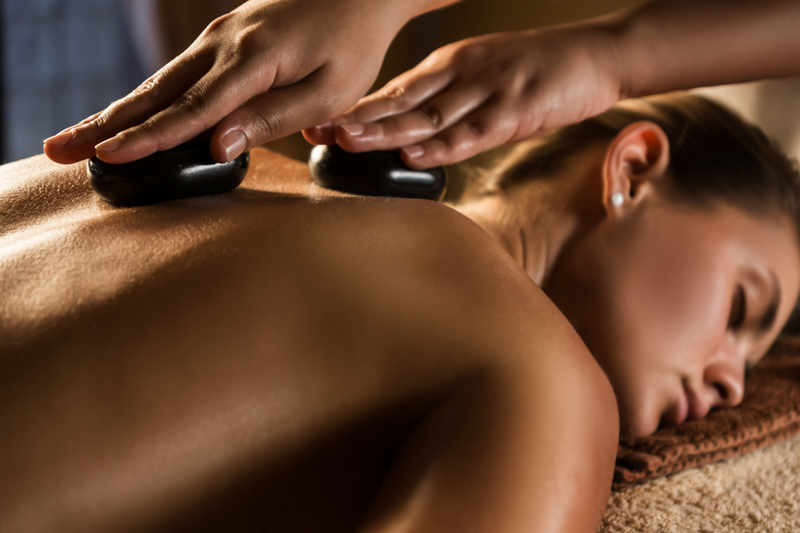 Calming and invigorating, Thai massage consists of a delightful combination of stretching and acupressure massage. Both relaxing and energizing, our Thai massage practitioners harmonize body, mind and spirit to alleviate, aches, pains and energy imbalances with personalized treatments that are adapted to your body type and particular needs. Clients regularly report feeling completely rejuvenated following a Thai massage session with one of experienced Spa Bliss specialists.